The classically masculine design of the Edition 2 mechanical chronograph perfectly complements the Edition 1. Similarly to Edition 1, Edition 2 watches have a robust stainless steel case manufactured in Pforzheim that perfectly harmonizes with the ostrich leather watchstrap. This special edition of the Handaufzug is truly exceptional. In contrast to the normal version, this edition is equipped with a whiplash precision index adjuster as well as a screw balance. 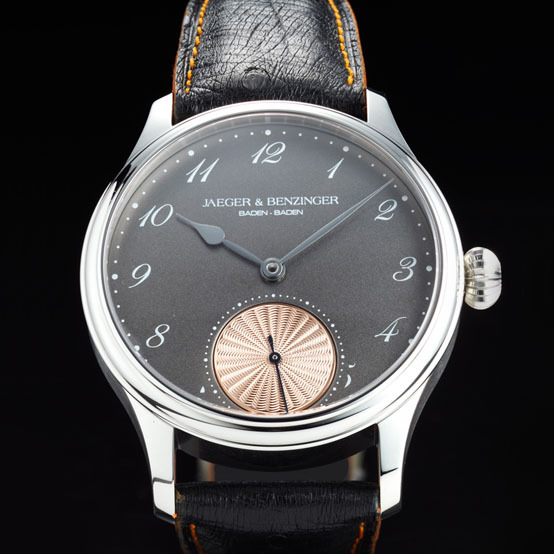 The Edition 3 Vintage Movement is limited to 40 exemplars. 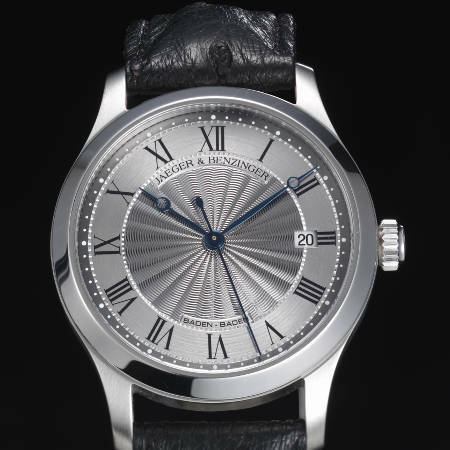 The Edition 1 Handaufzug captivates the imagination at first glance with its elegant simplicity. With an unobtrusive diameter of 42mm, it nevertheless impresses with its beautiful, large, sterling silver dial. For more than three decades, Kay Jaeger has devoted his time to watches, starting out as a collector and advisor for various watch labels. In 2009, he initiated the "Manufakturmesse" in Mannheim, which has been a popular alternative to larger trade fairs ever since. 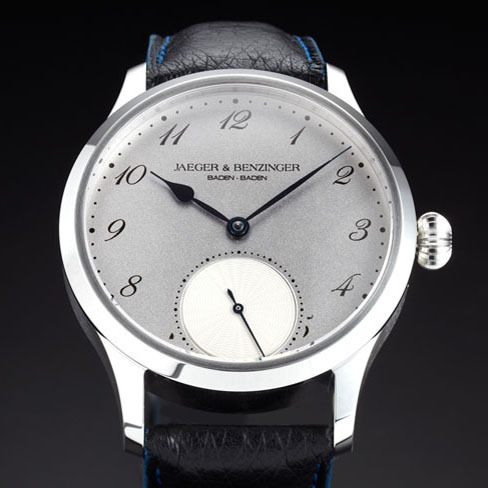 In 2012 he took the next logical step by planning and developing the first collection of mechanical wristwatches under the signet JAEGER & BENZINGER together with his friend Jochen Benzinger. 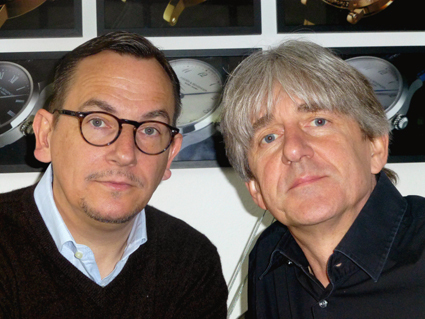 For many years, Jochen Benzinger has enjoyed an excellent reputation in the watch industry. His watches and watch movements are characterized by exceptional precision and exclusivity. Be it engraving, skeletonizing or guilloché, there is hardly another watchmaker as skilled at traditional finishing methods as the master from Pforzheim. 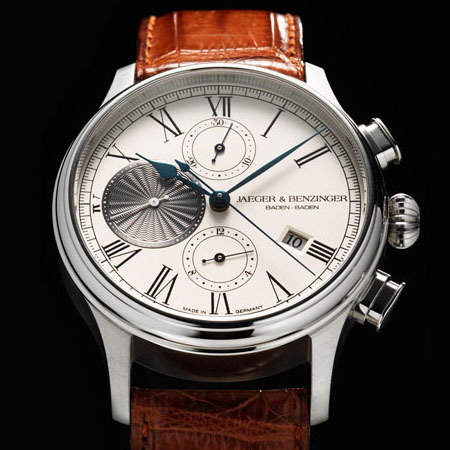 Jochen Benzinger's unique style is displayed in every single watch by JAEGER & BENZINGER, which makes his watches very special.